Classic chewy caramel squares get a pumpkin spice flavor profile. 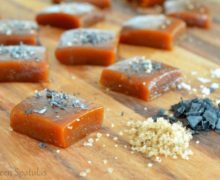 This is one of my favorite fall candies to make! 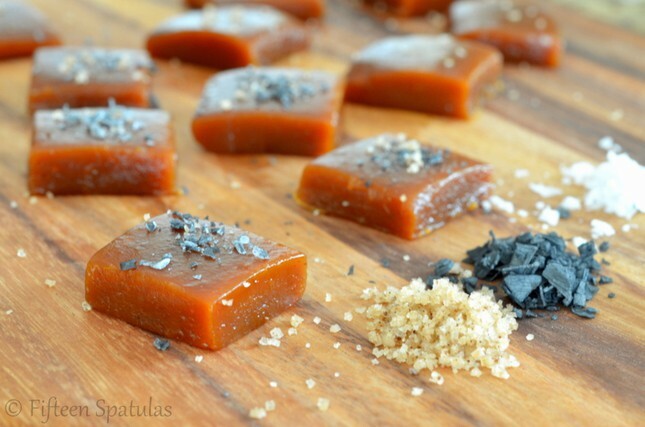 When you make caramel, you need to watch it. Caramel is a diva, you see. It’s going to take its sweet time getting brown at all, then when you turn your back to the stove for two seconds to get a spoon, it’s practically on fire (okay, I’m exaggerating a little). It’s in our nature to look for shortcuts and do things faster but keep the heat at medium and be patient with it. Problem #3: You don’t have the right tools. 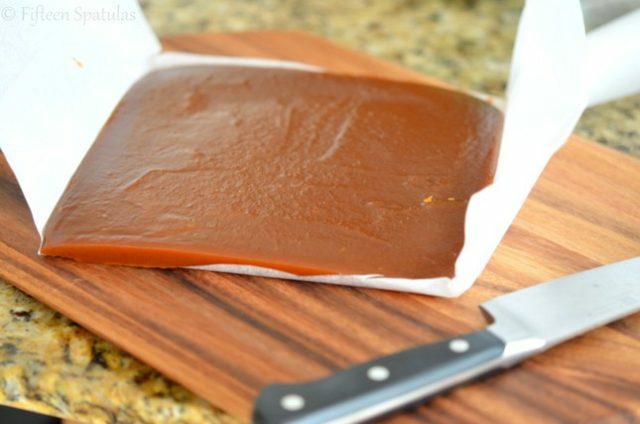 You can follow all the necessary rules for making caramel but if you don’t start with the proper equipment, your journey to caramel will be rough. Use a heavy pan with a thick bottom. If you make your caramel in a super crappy, thin bottomed pan, the bottom layer of your caramel will likely scorch. Use an accurate thermometer. 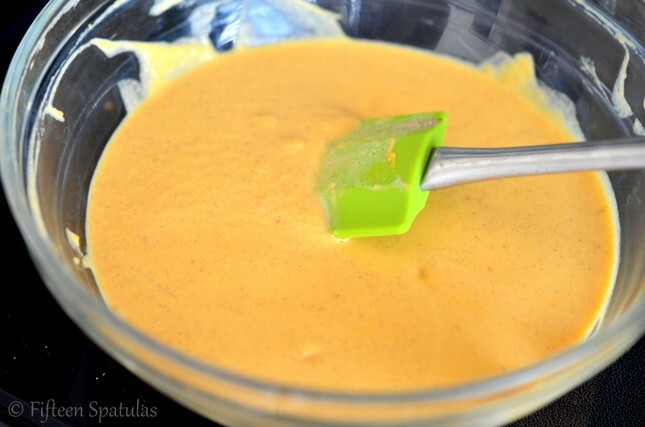 You need to cook this to the soft ball stage, to 248 degrees F. There’s no way you can guess that. Spend $20 and get a thermometer like this if you don’t have one. There are several brands that make some well rated thermometers in the $20 range. Use a good spatula that can scrape the bottom of the pan well. Okay, so you’re probably wondering how can you use a spatula if you’re not supposed to stir? 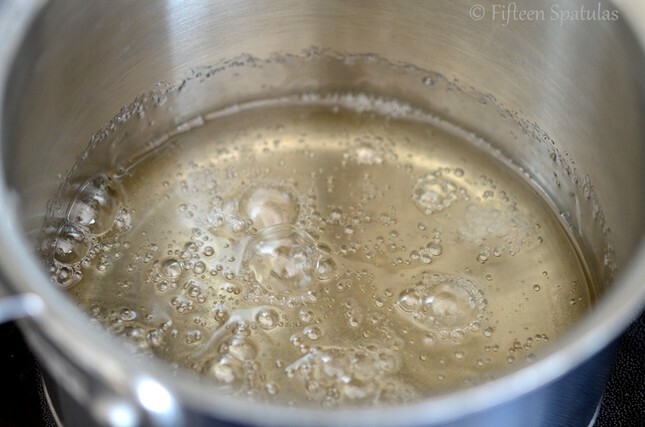 After you’ve fortified the caramel with butter and cream, you can stir the caramel without risking crystallization. Line an 8×8 pan with parchment paper. 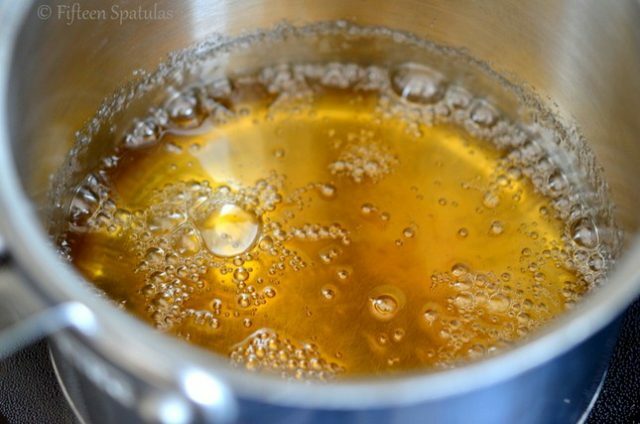 Place the sugar, water, and corn syrup in a saucepan (don’t stir it together) and cook over medium heat until amber colored (approximately 10 minutes). 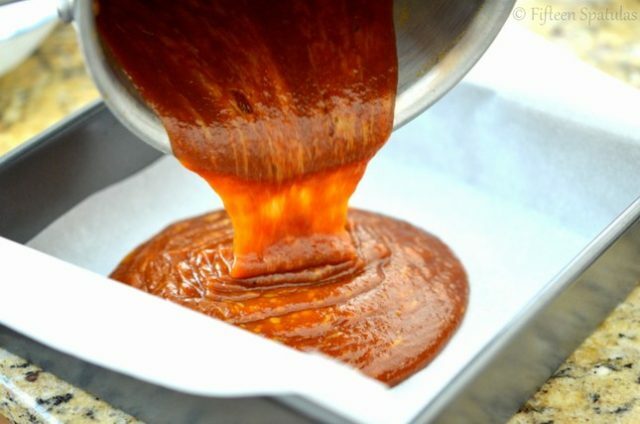 Again, don’t stir during this process (you risk crystallizing the caramel), just swirl it gently in the pan if you need to move it around a bit. In the meantime, heat the cream, pumpkin puree, butter, salt, and all the spices together until melted, either in a saucepan or in the microwave. 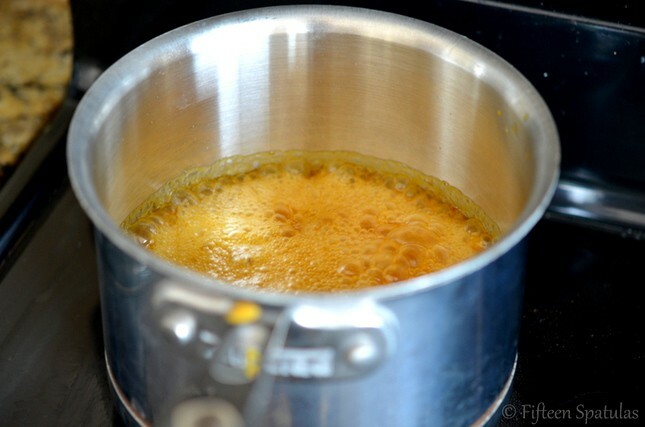 Once the sugar syrup has turned to an amber color, slowly and carefully pour in the pumpkin cream mixture, being aware that the caramel will bubble up a lot (wear oven mitts if you’re concerned). Return the pan to medium heat and cook for about 15 more minutes until it reaches 248 on a thermometer (the soft ball stage), adding the vanilla extract right before it reaches 248. Pour into the parchment lined dish and refrigerate for a few hours until hard enough to cut into squares, then sprinkle the tops with a little bit of sea salt. Enjoy! 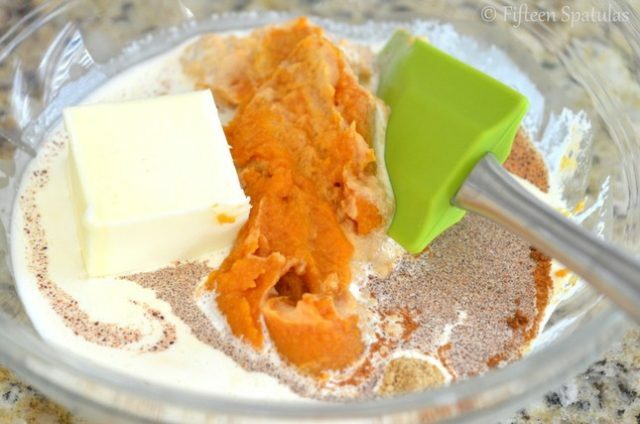 You can substitute the spices in this recipe with 1/2 tsp pumpkin pie spice if you have that on hand. I’ve made this both with an electric stove and a gas stove, and as expected, cooking with a gas stove will go much quicker. Be sure to keep your eye on the caramel. Disclosure: This post contains an Amazon affiliate link.